iPhone 5 is a beautiful smartphone. It may look like a taller iPhone 4/4S, but there is more than that once it is held – it is surprisingly thin and light. It is also, one of the new smartphones that is designed to be operated comfortably with one hand. 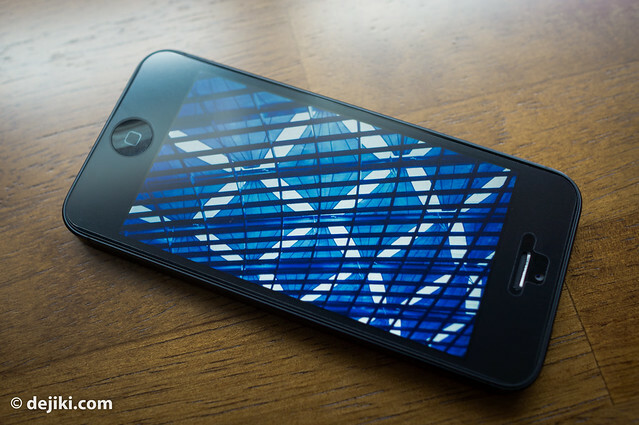 Just like its predecessors, iPhone 5 has a stunning design made from glass and precisely machined aluminum. For the first time, Singapore was part of the first launch for iPhone 5 around the world. This upgrade to a “first-tier launch” country eased shortages that were frustrating in past years. This means that there is no longer that crazy “$2500-3000 iPhone” reselling opportunity. Singtel kept to the same tiresome online booking (where most hopeful buyers can’t get through the booking process) and an early morning launch at Marina Bay Sands. It was a mad frenzy for a couple of days as angry customers started bashing the telco at their Facebook page and hammered their hotlines. The first day’s sale was limited at Marina Bay Sands, while Singtel retail shops offered very limited quantities. Just two days later, ample stocks can be found islandwide, with new stock arriving every day or two. For the time being, iPhone 5 has bragging rights for being the world’s thinnest and lightest smartphone. I’m sure Samsung will try to usurp the throne with their next smartphone in the Galaxy S series. There is certainly a perceptible difference in weight between iPhone 5 and its predecessors, despite what some people said to me that there is no difference. It is like comparing a 13″ MacBook Pro to its MacBook Air sibling. Apple kept the familiar form factor from iPhone 4 (2010), but the major changes under the hood. This is the first unibody iPhone, with the sides and back made from a single piece of aluminum. For repair geeks, iPhone 5 opens from the top now (yes, the screen lifts up!) meaning screen repairs can be achieved without stripping the entire phone apart like iPhone 4/4S. The Black&Slate iPhone 5 goes against Apple’s usual design choice of balancing black surfaces with a touch of silver. We’ve seen it on iconic products, such as iMac, MacBook Pro and iPhone 4/4S. Rarely, some items that stand out by being mostly black, such as the new Apple TV. 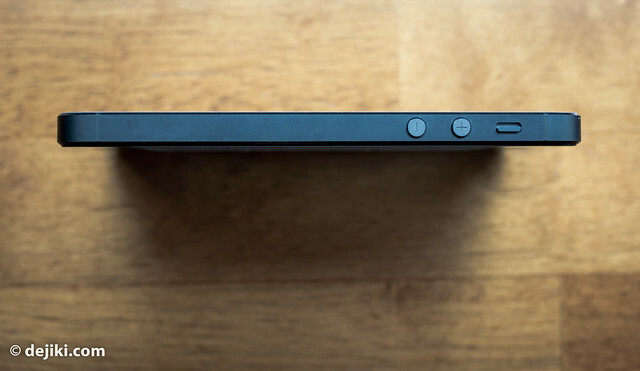 The Black&Slate version of iPhone 5 reminds me of the popular black MacBook (2006-2008). Even the highly polished chamfer (beveled edges) are tinted black. Only the aluminum sections of iPhone 5 are in the Slate tone, which is a very deep grey with a hint of dulled blue. While the Black&Slate gives off a stealthy, mysterious and sleek image, the White&Silver iPhone 5 resonates as a more simple, “light” and delicate device. While I do welcome the refined, featherweight form of iPhone 5, I wished Apple didn’t make it so thin. It is, in my opinion, way too thin for comfort. I almost dropped my iPhone several times over the weekend. I had to buy a cover in the end – something that I’ve not done for the past five generations. Even with a cover, iPhone 5 is still slimmer than a bare iPhone 4S. I believe Apple kept to this particular form for good reasons. It feels natural (at least to me) in the hands, and the width is perfect for one-handed use. The amount of grip space at the front is just right to reach around the entire screen and to press home button easily. The angular structure gives more space for components per volume, as compared to a curved structure. I don’t understand why some people could expect a radically new design from Apple every year. This is not an iPod nano, but a smartphone. People are attached to their smartphones and most of them rely heavily on them to communicate and get things done. There’s no room for flights of fancy. If the current form factor works, why change it for the sake of creating something new? When it comes to accessories, be aware that some products available now were designed and manufactured before iPhone 5 was officially announced. The manufacturers speculated on the design and specifications using the leaked parts and they may not fit iPhone 5 perfectly. Take for example, the screen protector on my iPhone at the moment – the cutouts for the top are incorrect. The increase in screen size (from 3.5″ to 4″ diagonal) is a nice upgrade in the landscape orientation, which is at the 16:9 aspect ratio. It makes a bigger difference when Apps are used in the portrait orientation. As the bezel proportions are retained from earlier generations, adjusting to the new screen takes little or no time at all. Apart from the size of the screen, the colour rendition has improved tremendously – Apple claims that the screen is capable of rendering full sRGB range. And yes, the taller screen can accommodate an extra row of icons, something that I’ve observed to be often sarcastically raved by Android device fans. Benefits of the taller screen are most clear in Apps that have constant streams of new information (FaceBook, Twitter Apps for example) and messaging applications. 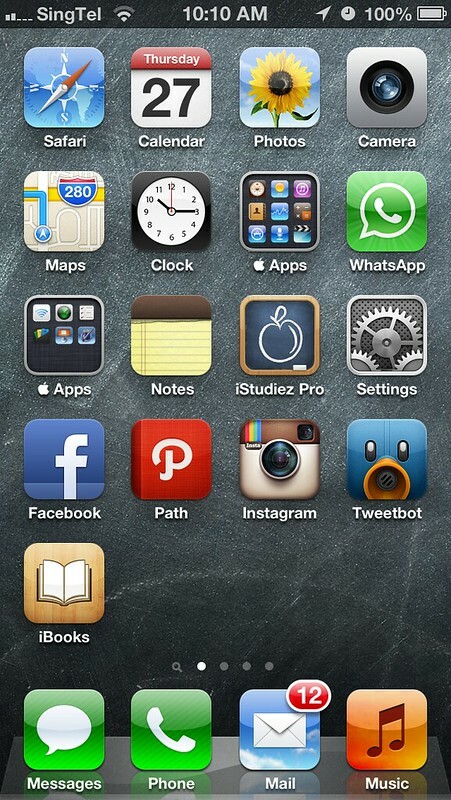 However, not all Apps are optimized for iPhone 5. But rest assured that all of Apple’s applications are updated for iPhone 5. The Music app for example, no longer has the extra bar that hovers over album art. The camera isn’t too different from the one in iPhone 4S – it’s the same 8 megapixels and lens design, with f/2.4 aperture. A quick demo of the camera’s depth of field capabilities. I’m surprised that the camera could focus so close (about 7cm) and the shallow depth of field isn’t shoddy at all. Of course, it’ll only appear for macro shots. With a larger screen, the Camera app now has a larger button, that’s “easier to press”. In video recording mode, the entire screen is used to give a full view of what is being captured (unlike earlier generations, where you need to double-tap to see the video in its entirety) thanks to the 16:9 aspect ratio. An addictive feature of the camera is Panorama, actually. Yes, Panorama photography is available on many smartphones and cameras today, but nothing is as simple and fast as Apple’s solution. Just tap and slowly move the camera, and the App does everything else, including compensation (and informing users if they need to move higher/lower or slower). 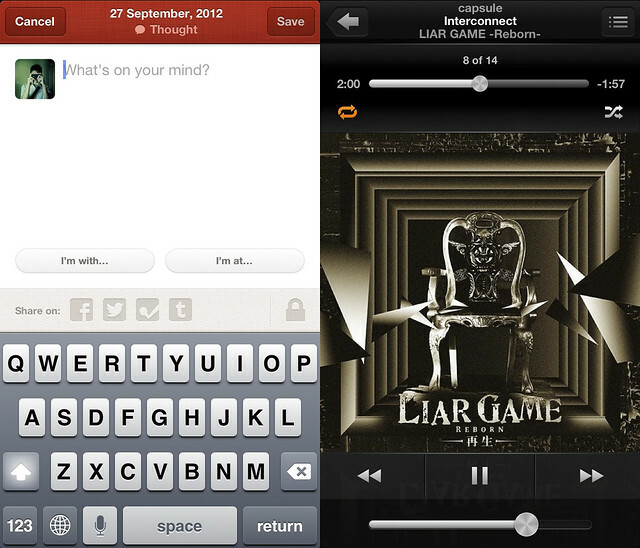 iPhone 4S users can enjoy this feature with iOS 6. It is remarkable how fast and snappy everything is on iPhone 5. Apps load quickly, Spotlight searches come out instantly and even sync times generally have improved. Surfing the internet over Singtel’s LTE network is amazingly fast (at least for now). I was very surprised that it’s quicker than cable broadband over Wi-Fi. The increased performance comes at a cost. The battery life of iPhone 5 can’t keep up with its predecessors, but that’s to be expected even with Apple’s best PR-speak to convince users otherwise. The larger screen, faster processor and LTE modem saps a lot of power. I’m not going to mince words here, but Apple is way too optimistic with their battery life promises and real-world performance definitely falls short. If you thought that charging an iPhone 4S at the end of the day is terrible, iPhone 5 might not even last a full day of moderate use, unless you switch LTE off. Searching for LTE signal eats up the battery. 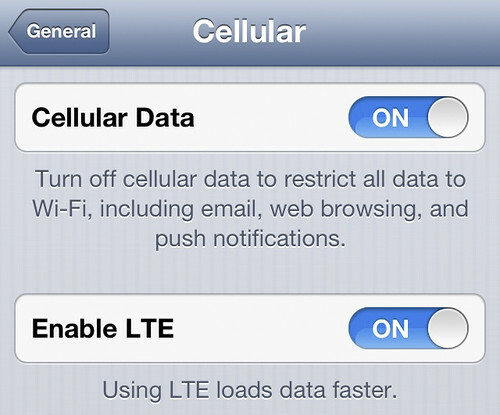 iPhone 5 users on Singtel may face poor battery life due sporadic coverage (at the moment) coupled with the LTE modem’s constant search for LTE signal. Perhaps it will improve when Singtel expands its LTE coverage to more areas in 2013. As there are no new battery packs or covers for iPhone 5. 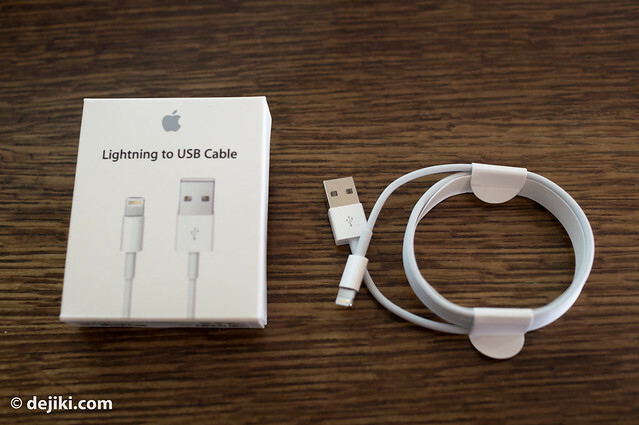 It’s definitely wise to grab a second Lightning to USB Cable (S$28) to charge out of home, or with a portable battery. What about the new Lightning connector? Apple had to change connectors to make iPhone 5 thinner. The new connector features 8 pins (with the sides operating at the 9th pin) that is said to be all-digital. A chip controls how the pins are used, and it is said that this cable will be used by Apple’s devices for a decade. This is terrible news for people with expensive 30-pin Dock accessories, such as speaker docks from Bose, Bang & Olufsen and Bowers & Wilkins. 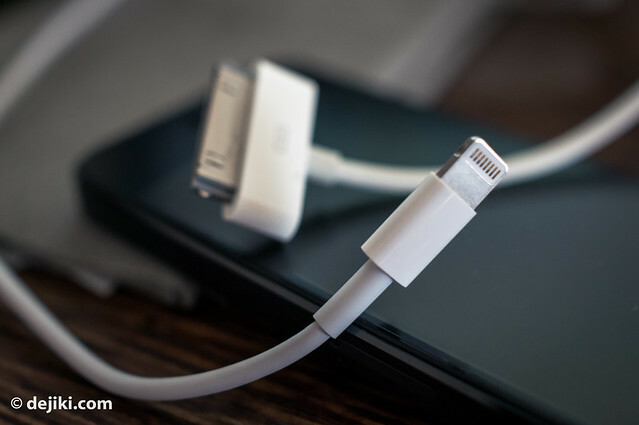 It might be possible to still keep those devices with a Lightning to 30-pin adapter (S$42) but that accessory has yet to be released, and no one knows for sure what devices are compatible. While it is easy to use, the Lightning cable doesn’t seem to offer “lightning” transfer speeds, as it is still a USB2.0 cable. I do hope that Lightning interface is forwards-compatible and that a USB3.0 or Thunderbolt cable will be available in the future. 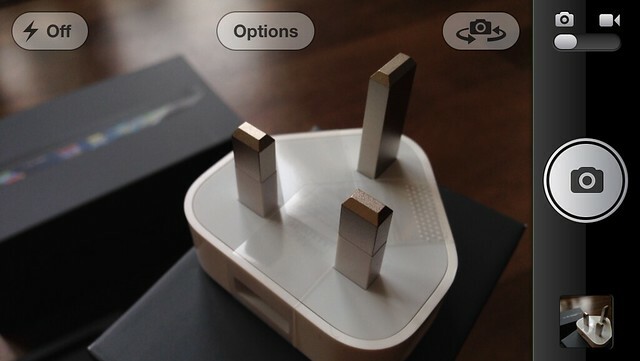 Like the MagSafe power connector, the Lightning connector can be inserted in two directions. It is a lot more convenient than the old one, I assure you. But that, and the reduced size, are the only benefits at the moment. 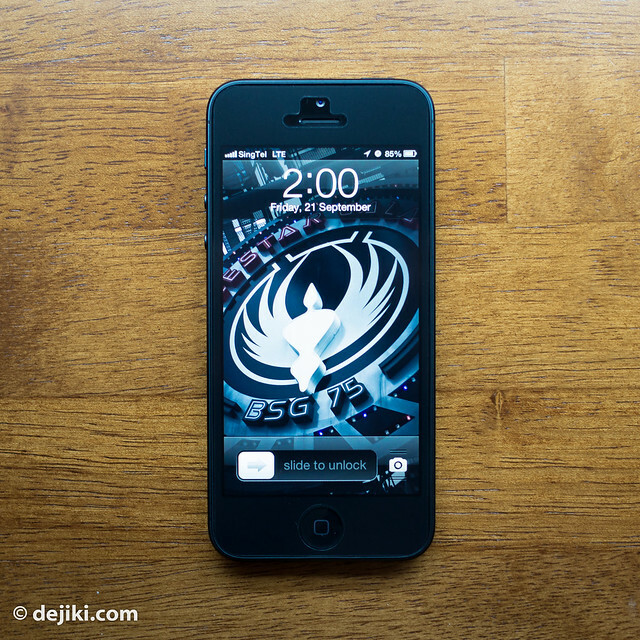 There are also several new features in iOS6 that are supported by iPhone 3GS, iPhone 4 and iPhone 4S. Many of them are enhancements to existing features, such as improved Siri, Facebook integration and updates to Mail and Phone apps. The replacement of the original Maps app powered by Google with the new Vector Maps by Apple, has been controversial for inaccuracies and missing details. Apple states that iPhone 5 is “the biggest thing to happen to iPhone since iPhone”. Yes, I feel that that is true – there are great upgrades under the hood, a sleek new design, and support for LTE networks. Within Apple’s timeline for iPhone: it is an evolutionary hardware upgrade, retaining the same soul of “it just works” and minimalism in aesthetics and software design. Looking at the smartphone market as a whole, iPhone 5 may be seen as catching up with its competitors, coming a little late with some existing must-have features, such as LTE and a larger screen. The smartphone market has changed rapidly in recent years, with many new powerful smartphones running on Android OS and Windows Phone. Many of these devices are well-designed and boast superior technical specifications – though I must admit, after trying them out, that they are not as easy to hold or use. However, people can get used with new devices with time (and patience). It is great that there are many smartphones in the market to cater to different user segments. Pro tip: Get the right thing. I have been “inadvertently freelancing” as an Apple Genius (Apple’s tech support staff at retail stores) because some friends and relatives constantly have “issues” with their iPhone. But the truth is, the devices were not faulty. Neither were their owners using them wrongly. The problem here is that they chose to use an iPhone, for the sake of having an iPhone. There were obviously some misconceptions over what smartphones are capable of, thanks to flashy marketing. As Apple products are very popular and basically “everywhere”, some people assume that iPhone has “every single feature” from every smartphone on the planet. While Apple has designed iPhone for everyone, but every person has specific needs and wants – which means there is a great variance in expectations and usage scenarios. iPhone has an eco-system that is strongly tied to its closed digital services/content and other Apple computers and software. It is not meant to be have extensive customization options like Android OS smartphones, nor will it run Apps that are not approved by Apple. So please, do your research and find out which smartphone could meets your needs, and not getting something for the sake of it. There are other excellent smartphones in the market, each with their own benefits and drawbacks. Choose that one that you like, and stick with it. I’ve written this entry without using an article or pronoun for Apple product names (as much as possible). It’s odd, but I’ve always wanted to try it. Hi, enjoy reading your blog…. but can I ask why did you disable right click? I would like to use the function to open links on multiple tabs.